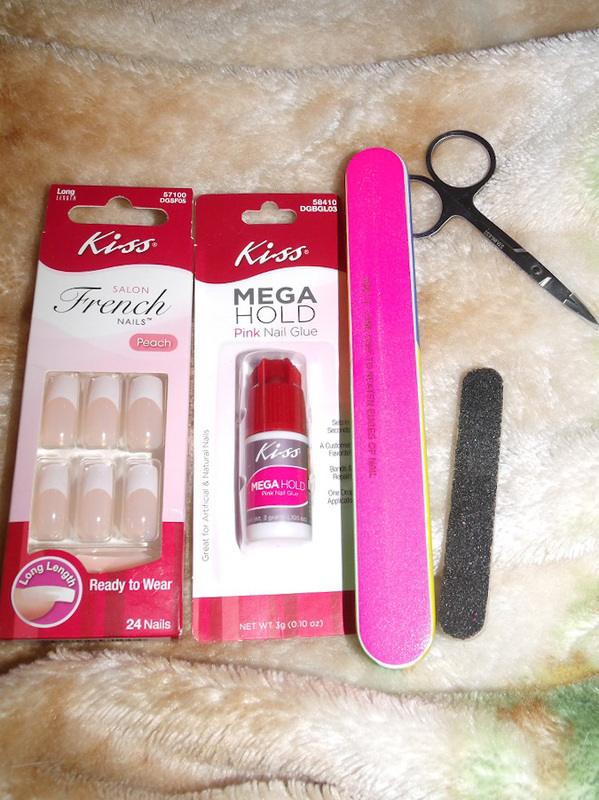 Today I want to share with you my secret to how I get my Kiss brand nails to stay on for four to six weeks! You have to remember, these nails are a commitment. You never force or try to rip off the nails, it will damage your natural nails. Also, they’re really hard to type with when they’re really long. This may not have been the best idea to put these on when I need to be writing, lol. 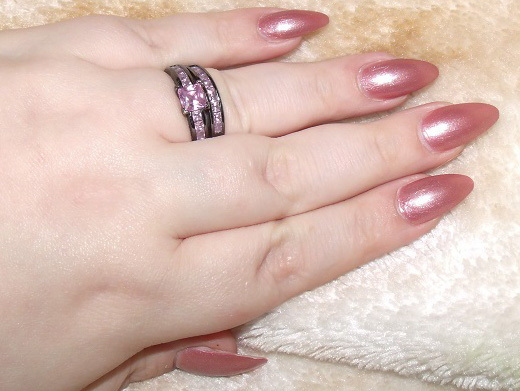 I know you probably wouldn’t think so, but there is a lot you have to consider before doing your nails. Nail brand and the brand of the glue are two big factors. 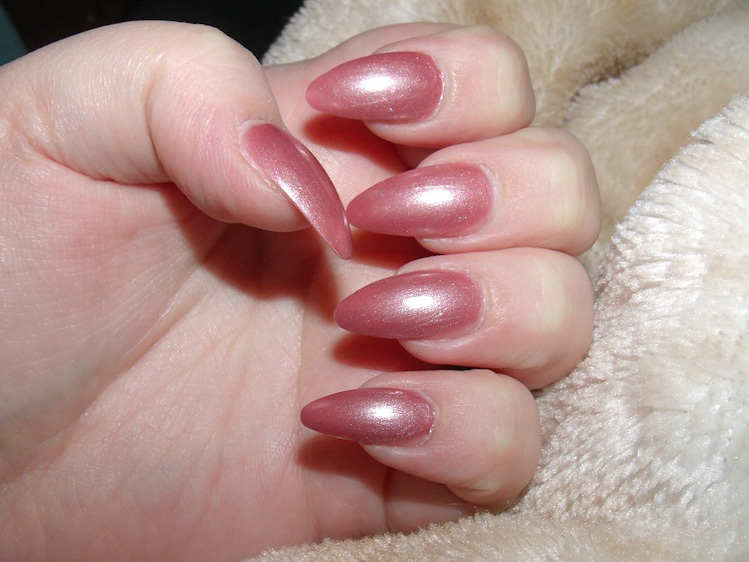 Some nails are really thin and will bend and or snap pretty easily. Also, not all glues are made equally! I’ve tried generic brands of both, and it was just all bad and a waste of money. It really isn’t expensive at all the way I do my nails, compared to going to a salon. I haven’t had my nails professionally done since sophomore homecoming in 2005. I think back then to get a set of acrylics it had cost $35.00. How I do my nails costs a whole $5.00, the pack of nails is $3.00 and the bottle n of glue costs $2.00. That’s a lot better than having to find a nail salon that’s clean, reputable and not going to cost an arm and a leg! 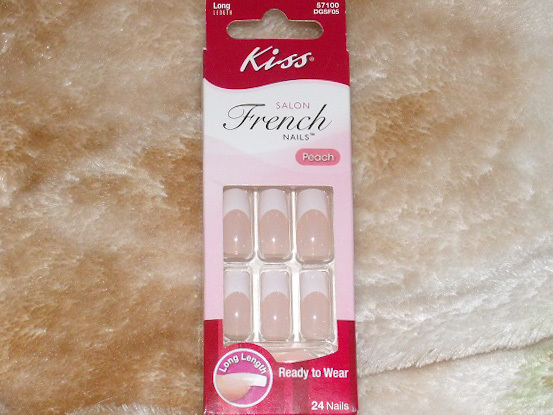 The nails I'm using right now are the peach Kiss Salon French Nails in long! They come in a pack of twenty-four, if you're lucky you can get two sets of nails out of the box. The great thing is, it doesn't use a lot of the glue either. The glue I use is Kiss Mega Hold Pink Glue, it’s by far one of the best glues they make. I also use a generic coarse nail file to shape my nails, cuticle trimmers and a multi sided nail file to perfect the shape and soften the edges. There is some prep work you have to do to your natural nails. First, you need to push back and trim your cuticles and any hang nails. If they’re on your nail, then the fake nails wont get a good seal and they will pop off really easily. Second you need to lightly buff the nail surface to create texture for better adherence. Lastly you need to use an acetone nail polish remover to clean any dirt, dusts and oils from your nails to ensure a clean surface for the nails to stick to. The most annoying part of applying fake nails is sorting and matching up the correct nail sizes. The nails can’t be too big and push on the skin or they’ll pop up, and if they’re too small and don’t fit the width of your nail, they’ll pop up really easily as well. Once you have that sorted and figure out which ones fit, you should lay them out in order so you don’t get confused and mix them up. If you have the issue of the nails being a little too wide, you can file the sides a little bit at a time to make them fit correctly. 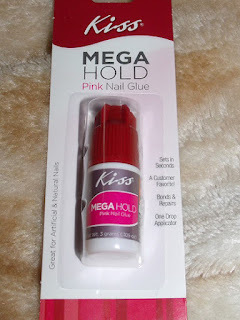 To apply them, I put one drop of glue in the nail, spread it around and place it on my nail. Since I’m using the long length of nail, what I do is use a coarse nail file and shape them in to a cross between an Almond nail and a Stiletto nail. I love the look, it makes my fingers look longer which I honestly need. I sadly have tiny baby hands lol. If you aren’t going to change the shape of the nail then you don’t have to bother filing the shape. But I do suggest softening the edges. 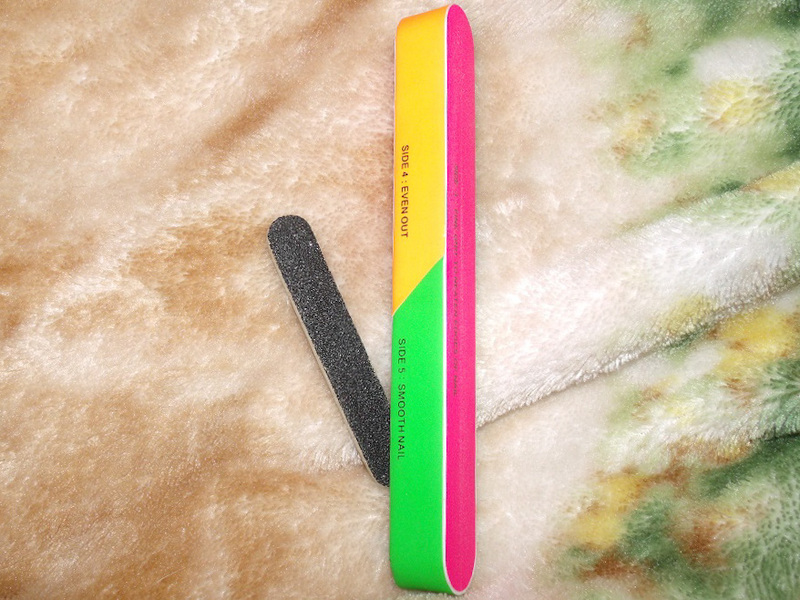 I use a multi sided nail file to make sure I’m not going to hurt myself with them. I have done that before and it’s awful, you live and learn. Finally I pick a nail color, I’m obsessed with this light mauve pink color I mixed myself. It’s very soft and natural looking with a satin finish. You usually need to use a few coats of Polish to make sure the color is completely opaque. That’s all I do, you need to make sure you aren’t rough on them of course. Also make sure you aren’t soaking your hands in water too long, that softens the natural nails and will make them pop off. I am so happy to be able to share my tips and tricks with you! I’ve had my nails stay on for six weeks at a time with maybe one or two coming up. All I do is file away the extra glue, clean my nail and reapply! That’s it, it’s really simple actually. Thank yall so much for checking out this post, I appreciate your time!